Roger Federer plays his first match of the Indian Wells tournament today after receiving a bye in the first round. The Swiss star goes up against Federico Delbonis as he bids to defend his title from last year. Despite Delbonis’ lower ranking at world No 67, he will have the psychological edge over Federer having beaten him in their only meeting to date. Delbonis beat Federer on clay in Hamburg in 2013. 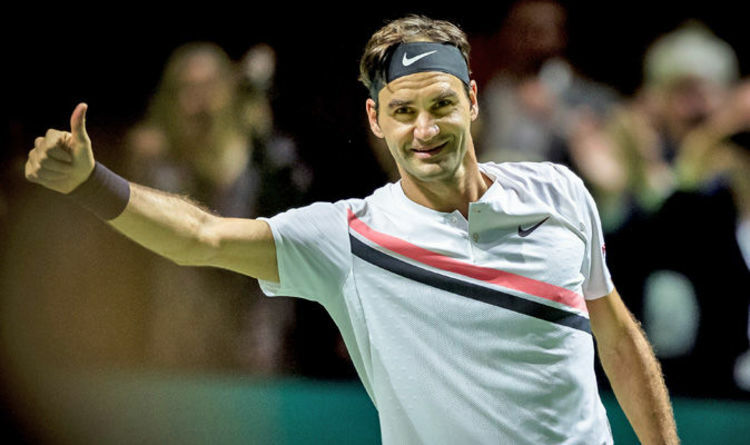 WHAT TIME IS ROGER FEDERER PLAYING? Federer is defending 1000 points in California so needs to reach at least the semi-finals to ensure Rafael Nadal does not return to top spot. “I am aware of it, the rankings and how they work,” Federer told ATP World Tour. “It wouldn’t hurt me in any way because Rafa would deserve it again because he has had a fabulous season himself, but I’ll try. “I’m disappointed for Rafa that he’s not here. I had a great trip to the Indian Wells last year so I have a lot of points to defend. “There is a bit of pressure maybe in this regard but I’ve defended my points for the last 20 years so there’s nothing new there. Sky Sports have broadcast rights to the 2018 Indian Wells tournament. Coverage of Saturday's action is on Sky Sports Arena from 7pm meaning subscribers can stream the action online. All the action can also be followed on desktop and laptop computers via the Sky Go app, which if you’re an existing customer, is also available on iOS and Android smartphone and tablet devices.